It's cold, really cold when I leave Waipu (but not before buying some fresh bread :). Even though I'm wearing 3 layers, including my Merino Icebreaker, I'm feeling uncomfortably cold. Probably the southerly breeze combined with the high humidity make it feel so cool. The good thing about this however: I'm pushing hard get warm. The road walking is long and boring, many commuters pass me on their way to work. Luckily the shoulder is wide and leaves enough space to walk safely beside the road. The last part of the 14km road walk is climbing up a hill. Lots of logging activity going on. The missing forest makes the terrain exposed and with the strong wind the raindrops are flying horizontally, hitting me directly into my face. Eventually, I enter the forest and leave the gravelled road. It's slippery, as usual, but the water on the trail is constantly flushing the mud out of my sandals, making it actually quite easy to walk. Much earlier than anticipated, I reach the end of this trail, after a final steep descend. There, I meet Romain, a friendly French guy also hiking TA, and we hike most of the remaining kilometers up and down through pastures (quite hard work actually!) 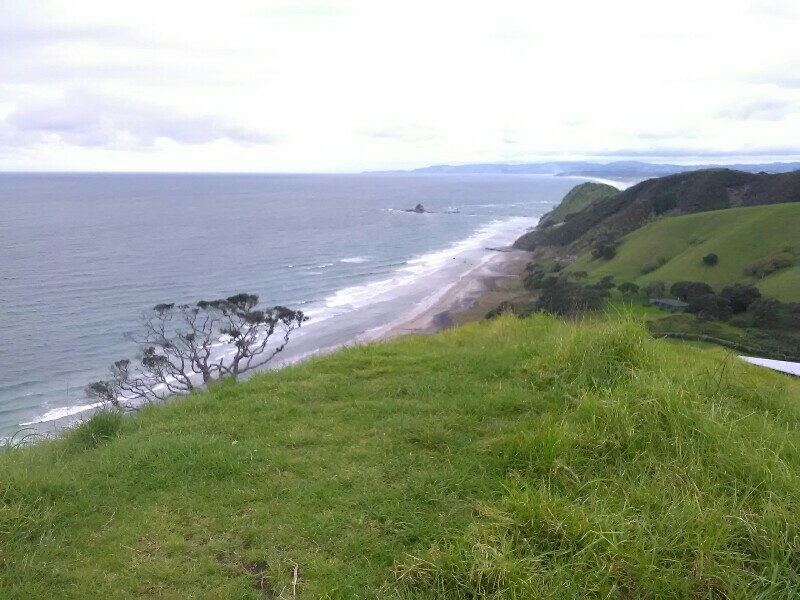 and along the rugged cost to Mangawhai Heads together. It's only the second time that I hike with a fellow TA hiker and a welcomed change to the solo walking. A lot earlier than I expected we arrive at our hostel. 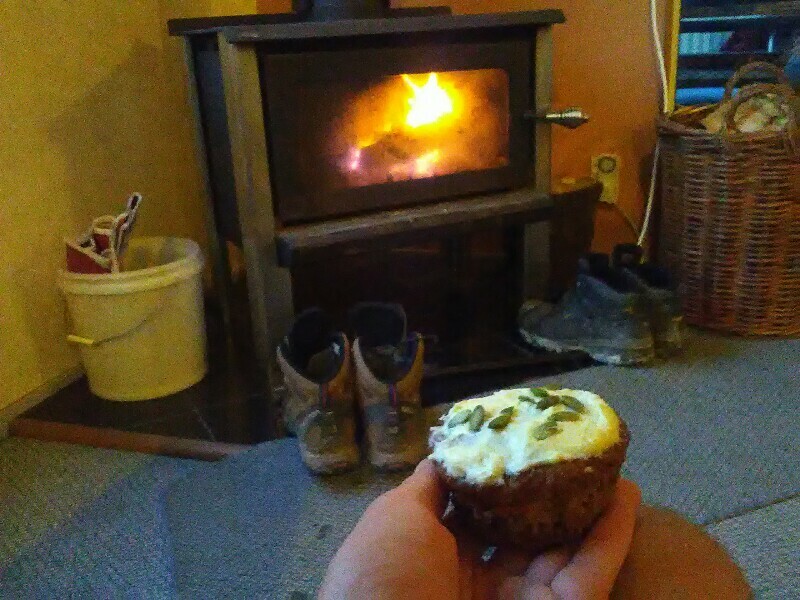 And what a pleasure it is to be greeted with a warming fire and self made cupcakes upon entering Mangawhai Heads Backpackers. So cozy and warm; simply perfect after a day out in the rain! Still, no time to call it a day yet. The cakes and the fire have to wait. Tent and sleeping bag need to dry and, as the next possibility to resupply is a 4 days hike away, there's quite a lot of food to buy.